No lie, it can be hard travel with pets, the furry or feathered members of your family are a high concern. Being cramped in a car with humans is bad enough most of the time – add in a hyper dog or a yowling cat, and “miserable” just got a whole new definition. Thankfully, there are things you can do to make the trip easier on both the humans and the pets in the vehicle. Pets find comfort with their owners — specifically, in your personal space. If you’ve ever traveled with your dog, you know that means your lap. If you’re driving, that can quickly become annoying, or even a hazard to your safety on the road. So, the best thing to do is create a “pet sanctuary” away from the driver, so your pet has a safe space to ride out the drive. Place some towels, blankets, or pillows, and something that your pet knows is theirs. Whether that’s their ratty blanket or their favorite chew toy, make it obvious that that section of the back seat is their space. With luck, your pet is going to be smart enough to figure things out from there. This can be a tough one. Pet are not really meant to travel in passenger vehicles, and cars in particular are not really built for non-human passengers. Pets tend to want to wander around the cabin space, and can you blame them? The seats are not designed with the comfort of fluffy bums in mind. There are some companies that have designed cat and dog harnesses and specialized car travel crates and cushions. If these items are out of your price range, though, the best thing you can do is drive as safely and attentively as possible. The key to having a successful trip with your pet is making things as comfortable and stress-free as possible. A stressed pet creates stressed owners, and sometimes stress can even cause physical illness in some animals. And let’s not even get started on what happens if Fluffster gets car-sick from the twists and turns on the way to Grandma’s! Disaster. Nope. Not happening. And it shouldn’t happen if you do your best to make the trip a great one for everyone, including your pets. However, realize that some pets just don’t travel well. 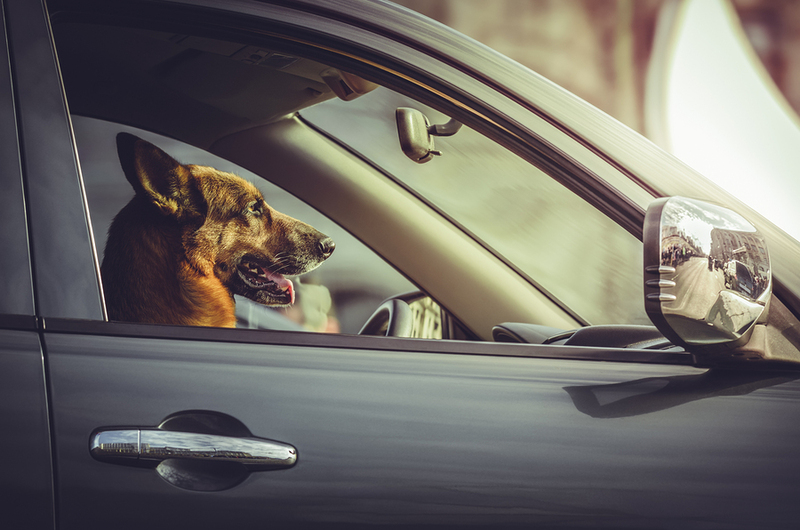 If there is no solution to keep Fido from ralphing all over the back seat, or on Joey’s lap, then consider boarding your pet with a licensed pet sitter or kennel for the duration of your trip. Ask around at your vet’s office to see what facilities are available for boarding in your local area. And remember, your pet does not understand what a car is. They can’t interpret that the magical moving box on wheels won’t hurt them or take them somewhere not-scary. Make things as easy as possible, and ensure they know you are there with them. That’s the best thing. Coming from a pet owner with wanderlust, I promise these tips are some of the best I’ve ever seen. What about you? What are some tips for traveling with pets that you’ve found useful?